What can I say I love pizza its my favorite take away meal, I can eat copious amounts of it. So much so having returned from Sicily last weekend you would think I would have eaten enough, no chance of that. 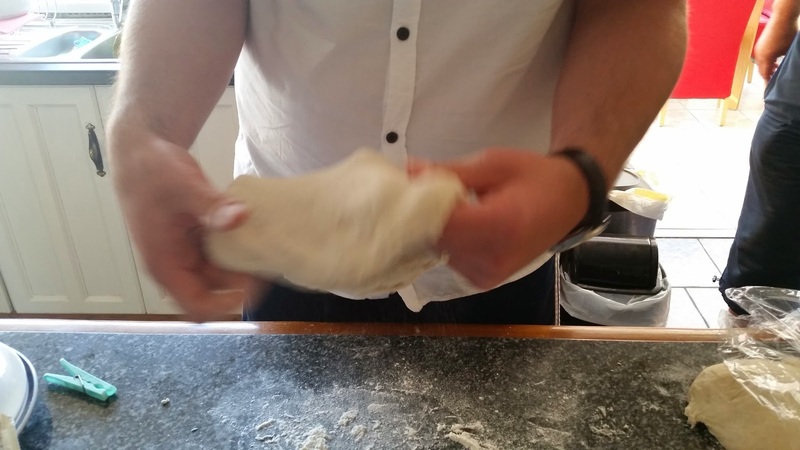 However though up until recently I had never really made it before, well not at least as good as the recipe that follows, I generally make a big sloppy mess. 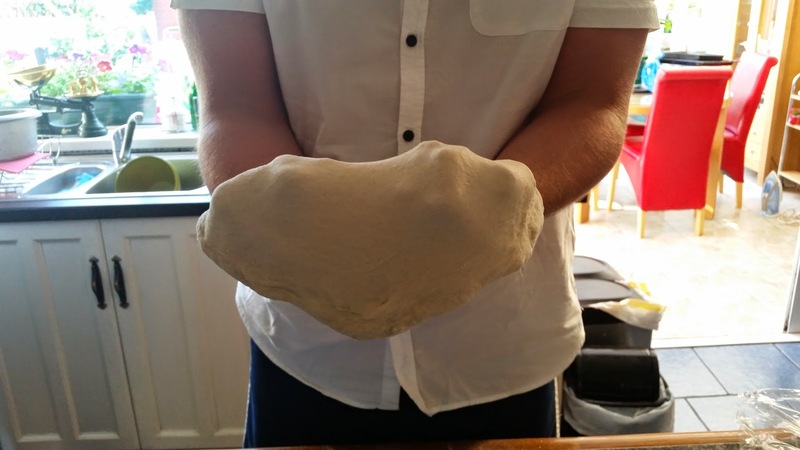 I stumbled upon Gennaro Contaldo's recipe for pizza dough recently and it is perfect, it makes wonderfully crisp base. 4 heaped tablespoons of a good tomato sauce I use this one. 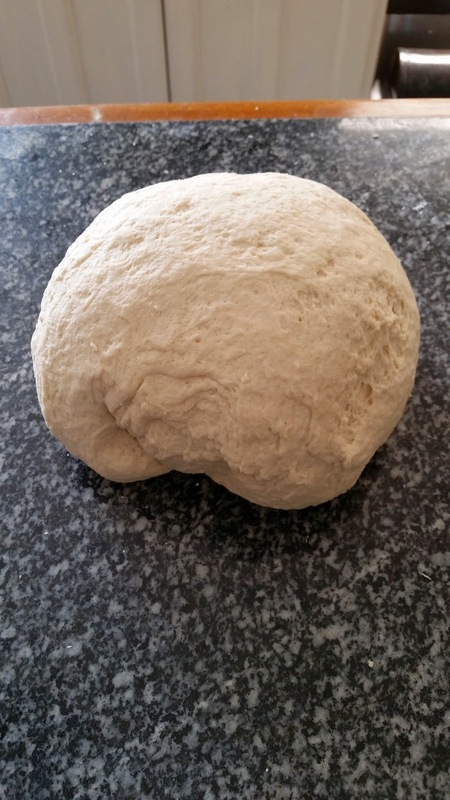 Preheat the oven to 220ºC/425ºF/gas 7. 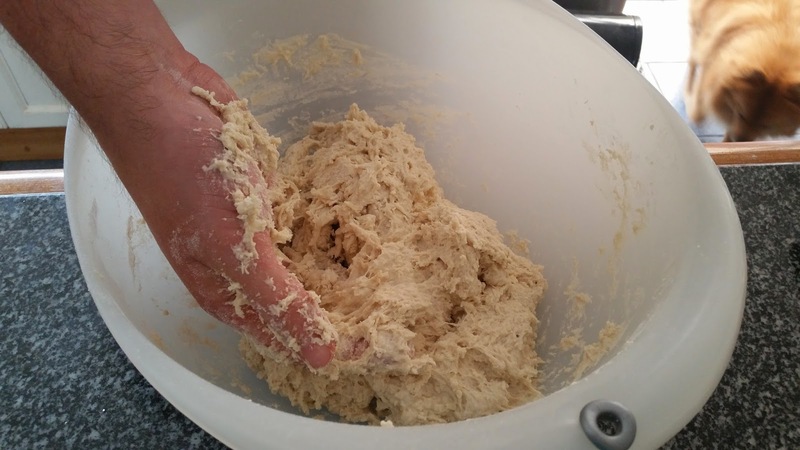 Put the flour and salt into a large bowl. 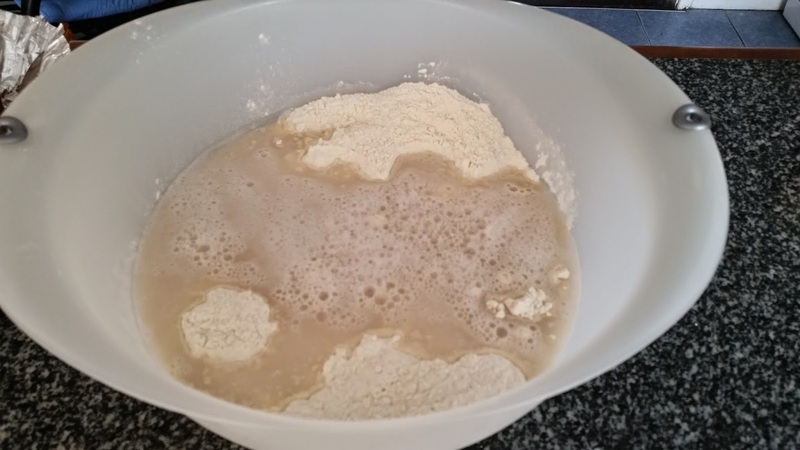 Add the yeast to 325ml lukewarm water and stir to dissolve, then gradually add to the flour, mixing well until you get a rough dough. 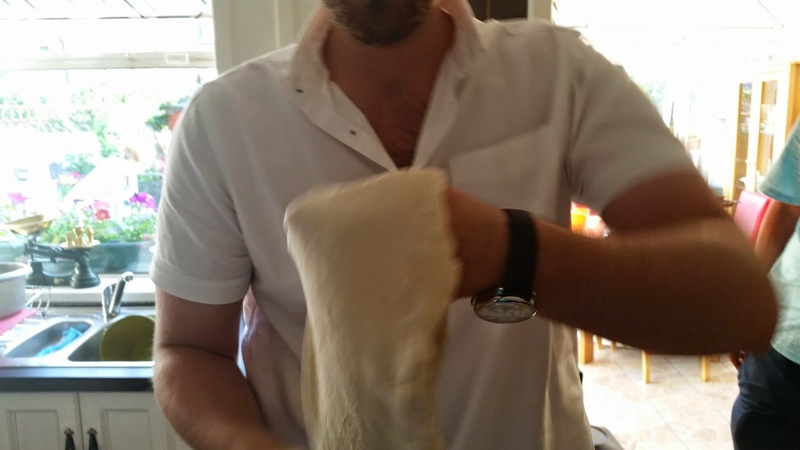 Shape the dough into a ball, then cover with a tea towel and leave to rest for 5 minutes. 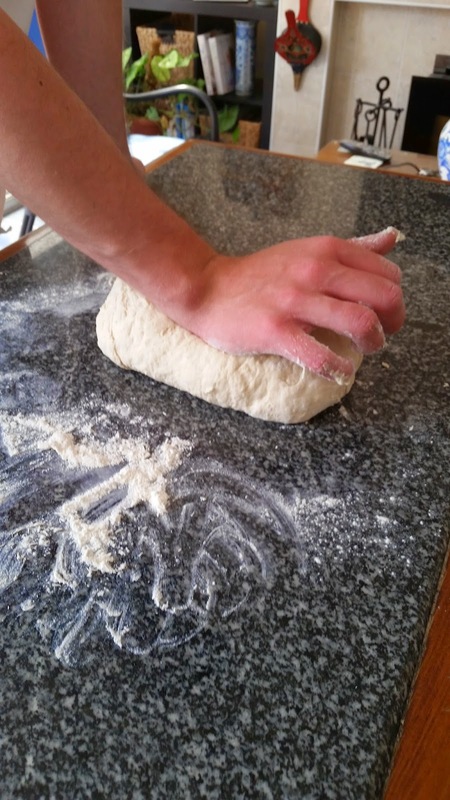 On a flour-dusted surface, knead the dough for 8 to 10 minutes, or until smooth and elastic. 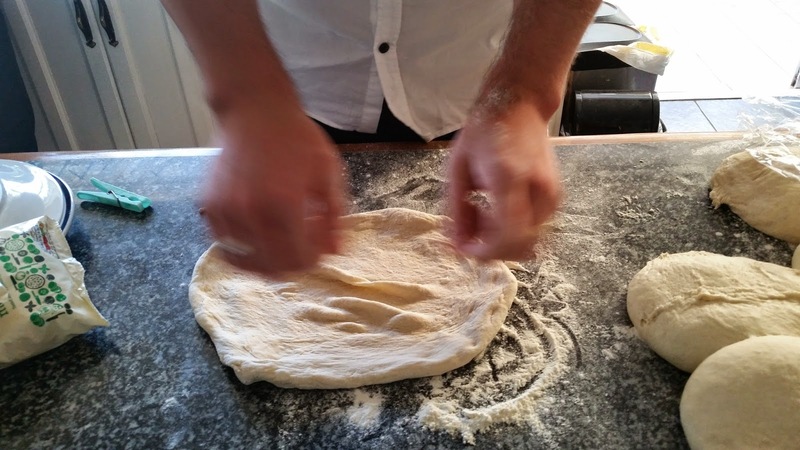 Split the dough into four equal-sized balls, knead each piece for a couple of minutes, then roll into balls and place on a clean semolina-dusted tray (if you don't have semolina, it’s fine to use breadcrumbs too). 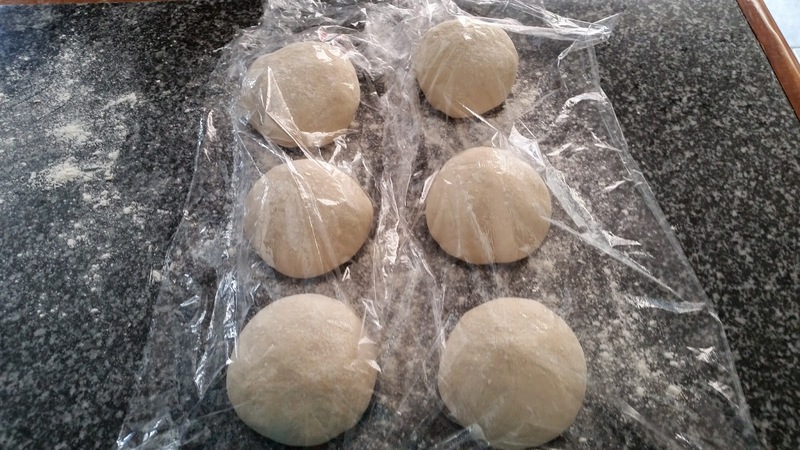 Dust with a little more flour, cover with cling film and leave to rise in a warm place for around 2 hours, or until doubled in size. 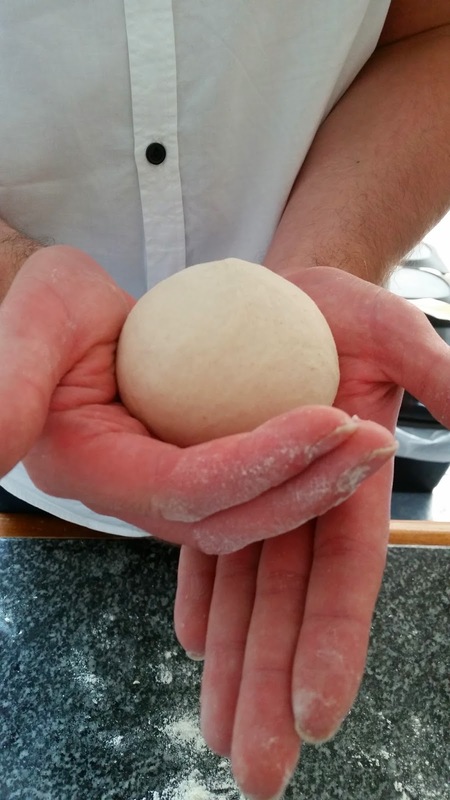 On a flour-dusted surface, use your hands to stretch a ball of dough into a circle, roughly 35cm to 40cm in diameter – try get the dough to the thickness of a pancake, leaving the border slightly thicker. 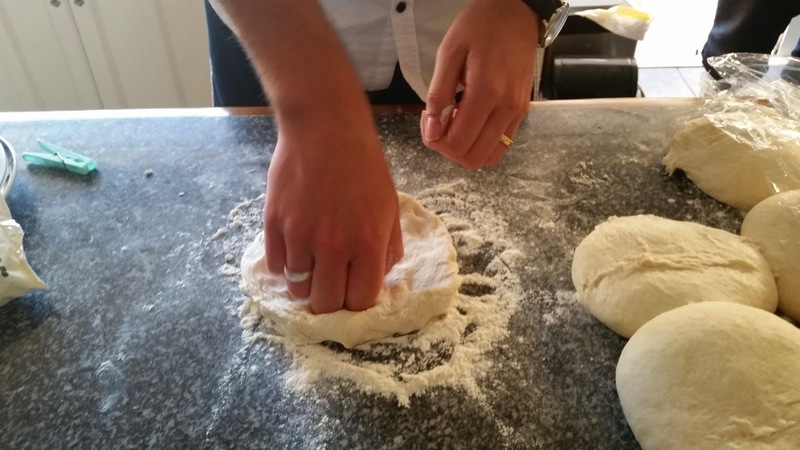 Repeat with the remaining dough, then sprinkle two large baking trays with the semolina and place the pizza bases on top. 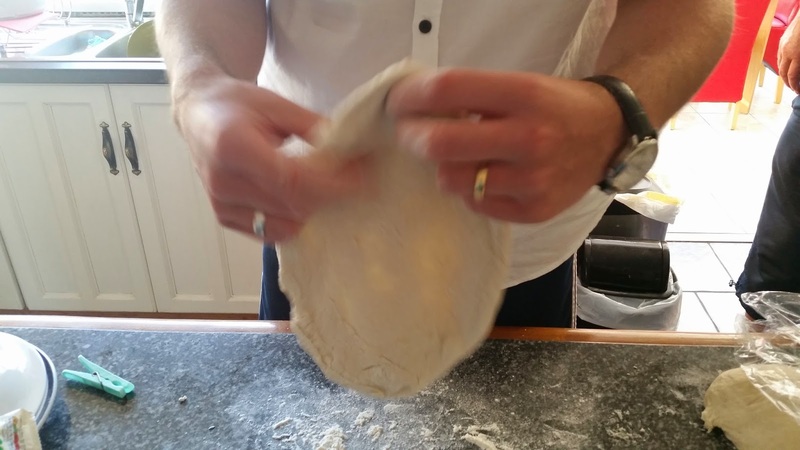 Evenly spread the tomato sauce over each base – you don’t want to use too much as the pizza bases will get soggy. Drizzle with olive oil, grate over the Parmesan and tear the mozzarella on top. 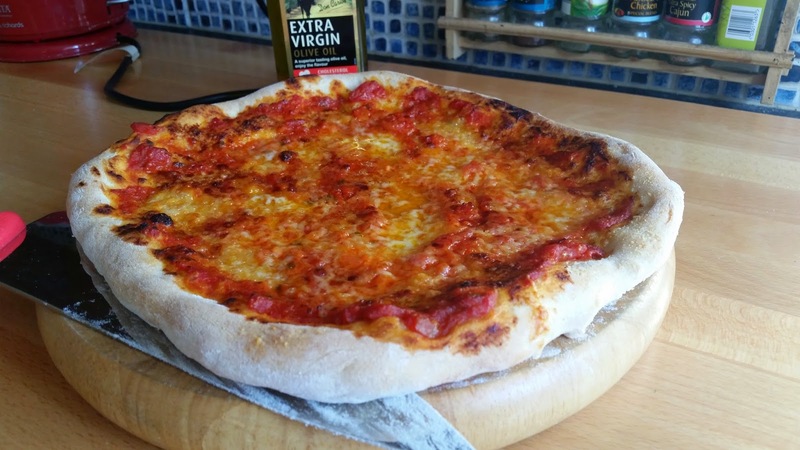 Place the pizza in the oven for 7 to 10 minutes a top a pizza stone ( they are fantastic for making pizza bases crisp, I bought mine in Allens in Limerick for only 15 euro), depending on how crispy you like them, then drizzle with extra virgin olive oil and eat straight away. I also have to say before I end this post I got a fantastic deal last week. I have been looking for some versatile knives for months just for every day kitchen work. So I picked them up on Viking Direct, they seem to stock everything nowadays. I ordered the knives below on a Tuesday and had them by Friday just in time to bring em home to Limerick me for the weekend, fantastic service. 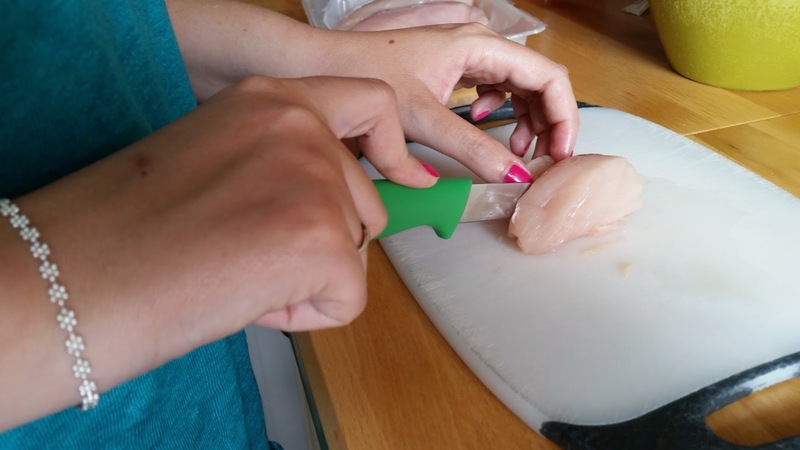 Finally use your fancy new knives and get that pizza all sliced up for family and friends to enjoy! 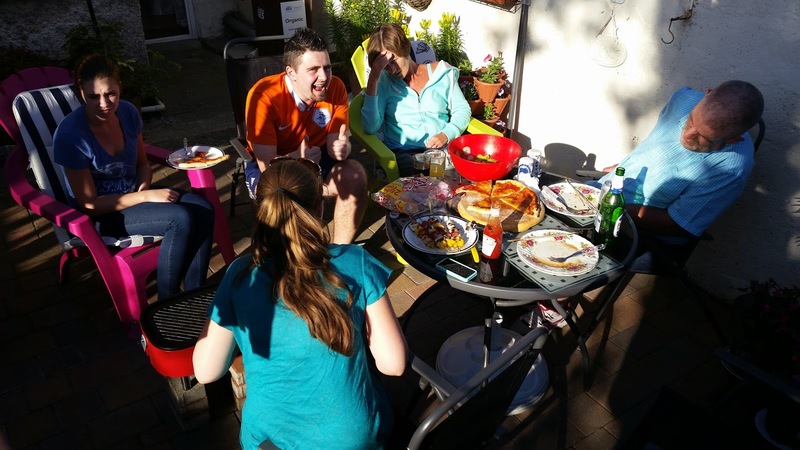 Note my bro wearing his Dutch jersey, YES we are in to the 2nd round of the World Cup. Roll on Sunday evening we are having a big World Cup party and pizza will defo be on the menu. Thanks alot for reading, I know I have been off the grid for a while but now our wedding is over I can finally come back and focusing on the blog. I have a few exciting projects on the horizon none more than this, I am going to start vlogging in a segment called Cant Bake Wont Bake with Steve my brother. My god I can't wait, stay tuned as it should be live this time next week. 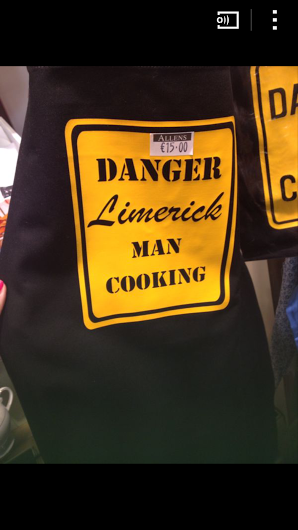 Joanne even wanted to buy him this apron haha. Ooooooh PS: here is a pic of the wedding day :) which was absolutely awesome, Joanne was stunning so proud she is my wife.